Calling it “charity through hip-hop,” a Lynn-based community organization is donating hooded sweatshirts to people in homeless shelters for every sweatshirt they sell to a paying customer. Ahead of National Homeless Awareness month in November, Wreck Shop founder Justice Born kicked off the “Hoodies For the Homeless” project to help give back to those in need, as the colder weather fast approaches. The project vows to hand-deliver a hooded sweatshirt to a person who is homeless for every sweatshirt sold either online, or at events hosted by the Wreck Shop Movement. 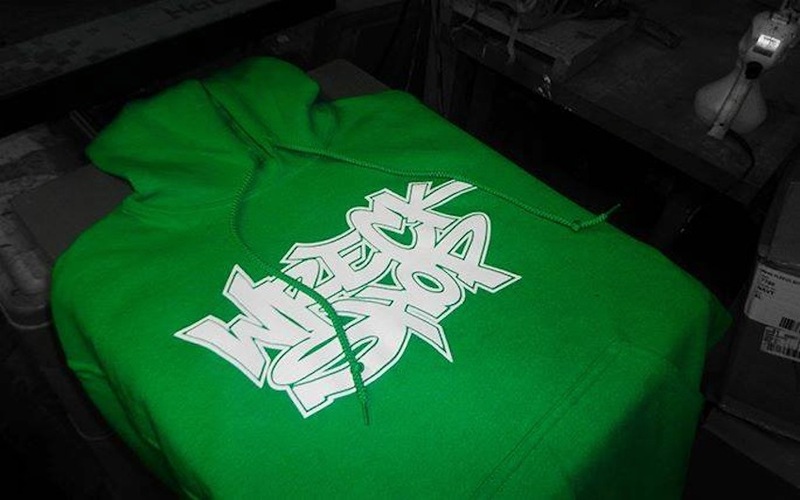 Each hoodie—which come in a multitude of colors—is $45 for any color hoodie with a black or white print, or $50 for any color hoodie with a custom color print, and is made locally with the Wreck Shop logo. “Giving back to the homeless is something I’ve been doing in different ways for years—a lot of which I don’t publicize because it’s a personal thing for me,” said Born, who admits he himself has been forced to live without a place to call home at different points in his life. Born, a Lynn native, credits friends that have been helping with the Wreck Shop name for coming up with the latest charity effort. And that community has been building fast. In just the first week since he launched the project, Born said people have flooded social media with the link to the page explaining what Wreck Shop is trying to accomplish. “Orders have been coming in here and there. Not every day, but some days we’ll get multiple orders. A lot of people are saying they’re going to buy some in the near future. Some people ordered multiple hoodies just to be given away to the homeless,” he said.